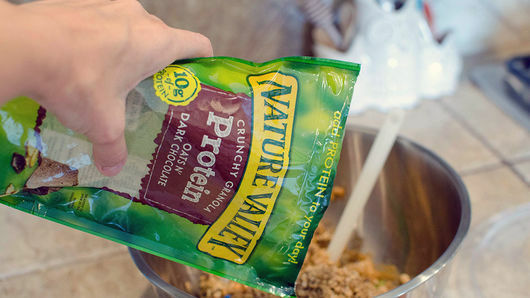 Before opening, use your hands to crush 1 package (11 oz) Nature Valley™ protein oats 'n dark chocolate crunchy granola in the bag and ensure large pieces are broken up; set aside. In large bowl, mix 1/2 cup natural creamy peanut butter and 1/3 cup honey until thoroughly mixed. Open granola, and add to bowl, along with 1/2 cup candy-coated chocolate candies, 1/4 teaspoon salt and 1/4 cup chopped pecans. Use wooden spoon to gently mix until evenly coated. With small cookie scoop, drop small mounds onto waxed paper-lined cookie sheet. Use your hands to reshape into balls, if necessary. Refrigerate about 2 hours or until firm. Store in airtight container in refrigerator up to 1 week. 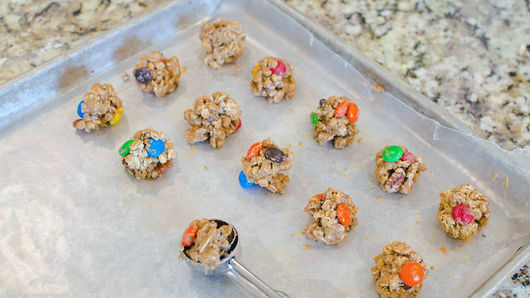 If mixture is too soft to scoop, place bowl in refrigerator 30 minutes to firm up before scooping onto cookie sheet. 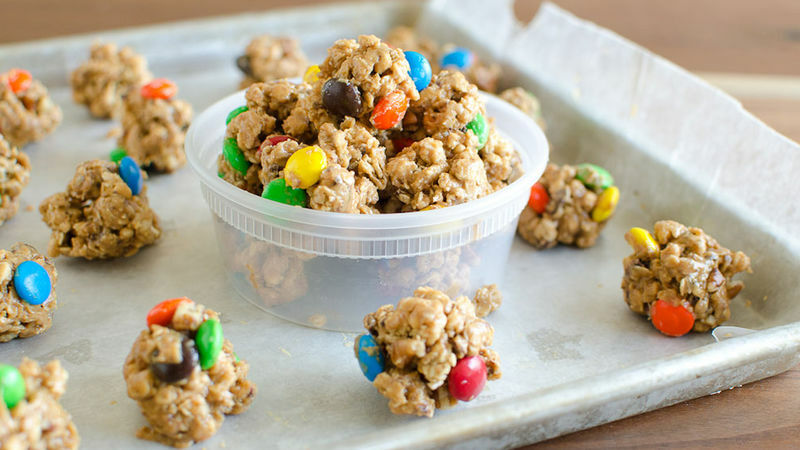 These are a great road trip snack to keep in a cooler in your car!